A new bar, offering burgers and more, has made its debut in the neighborhood. The fresh addition to Humboldt Park, called The Shelby, is located at 2759 W. Augusta Blvd. (between Fairfield Ave & California Ave). This newcomer replaces the former Haywood Tavern--which closed late last year--and is run by the same owners; it also has former Haywood chef Rodney Staton (Longman & Eagle, Bite Cafe) at the helm. 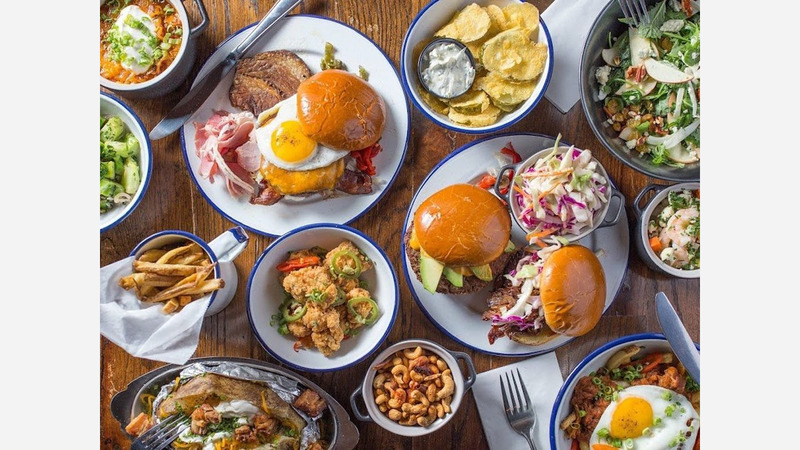 There's a variety of bar snacks on offer, like fried chicken bites with pickled chilis, smoked fish dip with catfish, cream cheese, jalapenos and saltines; and "Animal Fries" with pork ragu, cheese curds, chili and a fried egg. For the burgers, look for options like the beef burger with kimchi, bacon and egg; lamb burger with piquillo peppers, arugula and mustard; and the veggie burger made with plant-based Impossible Burger patties, roasted poblano and avocado. If you're looking for something a little different, there's a blackened shrimp po' boy, a mortadella sandwich with pickled red onion, and sides like broccoli salad and loaded baked potatoes. A full bar and an extensive list of brews on draught and by the bottle rounds out the menu. With a five-star rating out of four reviews on Yelp so far, the new bar has been warmly received by patrons. Meredith K., who was among the first Yelpers to review the new spot on January 13th, said: "We ordered from here the other night via Caviar. My boyfriend wanted burgers, and I didn't want to spend a ton of money on Umami Burger. We were blown away! I got the shrimp po' boy and it was delicious." Yelper Brian S. added: "I was a fan of Haywood Tavern which used to be in the same spot, and The Shelby is the same people with a simpler menu (burgers, fries), slightly cheaper beers/drinks, and and a nice change to the layout." Swing on by to take a peek for yourself: The Shelby is open weekdays from 5pm-2am, Saturday from 11am-3am, and Sunday from 11am-2am.